The Neem Tree (Azadirachta indica) also known as indian lilac or margosa) probably originated in India or Burma. Neem is a large, fast-growing evergreen that can reach approximately 40 to 80 feet (12 to 24 m) in height. The tree is drought resistant and heat tolerant, and may live up to 200 years. It grows in many Asian countries, as well as tropical areas of the western hemisphere. Neem oil, which is extracted from the tree’s seeds, has been used for its medicinal and insecticidal properties for more than 4,000 years. The Nee Tree has been used for its medicinal and insecticidal properties since antiquity. Since ancient times, man has utilized neem products for their pest-repellent properties. Neem has been shown to ward off sand flies and mosquitoes, aiding in control of the spread of diseases such as malaria. Neem oil has been used to treat lice and scabies, and tea brewed from the leaf of the tree employed as a termite control. Neem leaves placed in the pockets of woolen clothing are said to fend off moths; added to stored grains and beans, they help keep insects out. Neem products are included in some dog soaps and shampoos to repel fleas and ticks, and used as a cattle-feed supplement to kill parasites. The application of neem derivatives to bags and stored grains provides safe and relatively inexpensive protection against insect pests, fungus and even rats, reducing post-harvest losses in developing countries. Neem is considered harmless to humans, animals, birds, beneficial insects and earthworms, and has been approved by the US Environmental Protection Agency for use on food crops. Azadirachtin and other active ingredients in the neem seed have insecticidal properties that are effective against a broad spectrum of insects, many mites and nematodes, and even snails and fungi, and do not seem to generate resistance in the pests they affect. Neem products do not provide absolute insect control, but frequent applications can reduce pest populations dramatically by repelling them; inhibiting their larval development, growth, fertility, mating and egg laying, and deterring feeding. A solution of neem oil smothers insect pests and has antifungal properties as well — the oil coats the plant’s surface and prevents the germination of fungal spores. Neem oil can also be used as a safe, natural leaf polish. Mix 1 teaspoon (5 ml) of neem oil and ½ teaspoon (2.5 ml) of a gentle, plant-safe liquid dish soap (as a spreader and sticker for the oil) to 1 quart (.9 l) of warm water, or 4 teaspoons (20 ml) of neem oil and 2 teaspoons (10 ml) of liquid dish soap to 1 gallon (3.8 l) of water. A 50:50 solution of isopropyl alcohol and warm water can be substituted for plain water. Shake the solution intermittently during application to keep the ingredients well mixed. 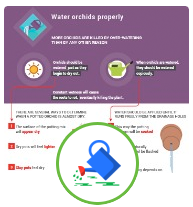 Because the oil smothers insect pests, be sure to completely cover all plant surfaces for maximum effectiveness. Some sources indicate that the mixture begins to break down after eight hours, so a fresh batch should be used at every application. The insect-controlling properties of neem lose effectiveness over time, especially in warmer temperatures, and may be washed off during watering or by rainfall, so repeat sprayings at weekly to biweekly intervals are needed to control successive generations of pests. In addition, it is useful to keep up manual removal of bugs as part of the control regime. 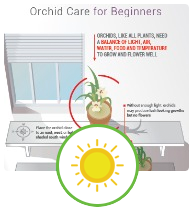 Oil solutions should never be applied to plants during hot weather (85° F [29° C] or warmer) or in direct sunlight. 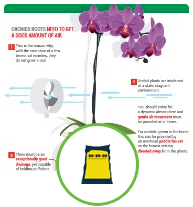 To prevent burning of tissues, treated plants should be shaded until the application is dry. 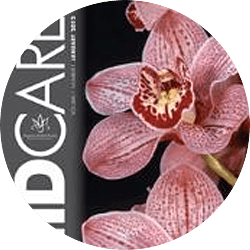 Another consideration is avoiding strong or excessive amounts of detergent or use of ammonia-based cleaners, as these may damage your plants, especially sensitive parts like buds and flowers. This is particularly true of soaps that could remove natural protective waxes from plant tissues. 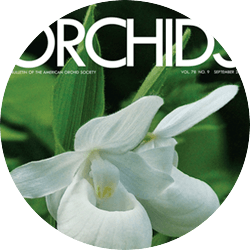 One source suggests that the flowers of some orchids, such as Miltonia and Masdevallia species, may be sensitive to neem oil. Horticultural oils, including neem, can also affect bees if it contacts them — once the spray has settled it is no longer harmful. Most growers like to see insect pests drop dead right away. Although pesticides usually provide that instant gratification, their use contributes to the buildup of toxins in the environment, can affect beneficial insects and generate populations of pests resistant to their effects. In addition, these chemicals are responsible for the accidental poisoning of humans, pets, livestock and wildlife populations. As an option for ecologically friendly pest management, neem is nontoxic to humans, animals and beneficial insects. It is biodegradable, does not build up resistance in pests and is relatively inexpensive. For safety and health reasons alone, controls such as this may be the only option for indoor growers or those whose collections reside in or very close to their living area. Dreyer, M. and Echo Staff, 1984. Neem: Use as Insecticide. Tropical-Seeds.Com: Cultivation Techniques: Articles. 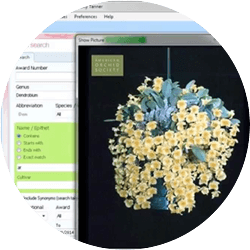 Institut fur Phytopathologie und Angewandte Zoologie, Justus-Liebig Universitat,Germany. Mp-Golden Harvest Organics LLC, 2004. How safe is it? 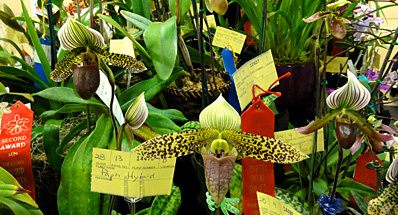 Johnson, Paul J. Mealybugs on Orchids. Insect Research Collection, South Dakota State University. Lilot, Loetitia S., 2000. The Neem Tree: The Village Pharmacy. 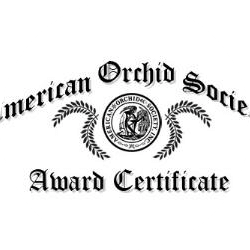 Southern Illinois University Carbondale/Ethnobotanical Leaflets. The Neem Foundation, 1997. Neem for Eco-Friendly Pest Management.